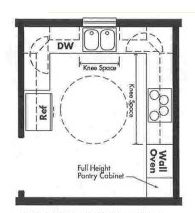 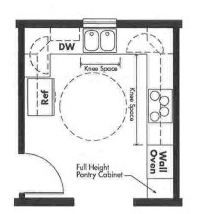 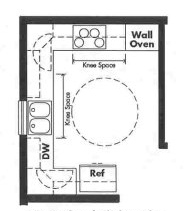 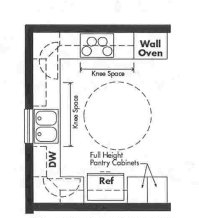 These fully accessible Universal Design kitchen layouts were designed for The Home Store by the late Ron Mace, FAIA, when he was the Director of the Center for Universal Design at North Carolina State University . 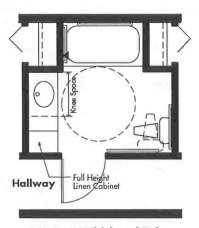 They work well in modular homes that have an interior module width of 12′ 9″ or wider. 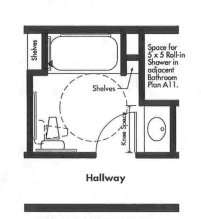 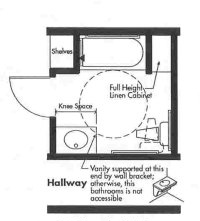 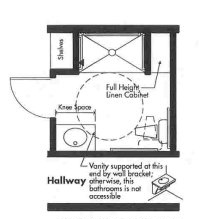 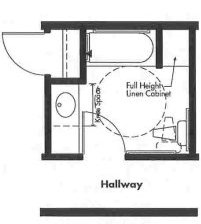 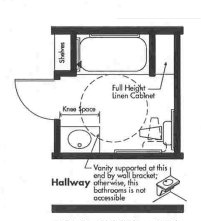 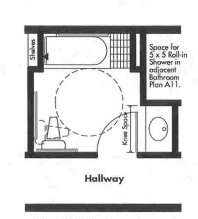 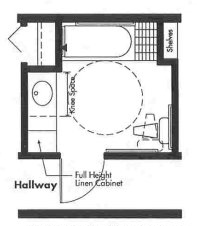 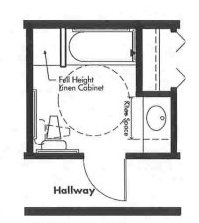 These fully accessible Universal Design bathroom layouts were designed for The Home Store by the late Ron Mace, FAIA, when he was the Director of the Center for Universal Design at North Carolina State University . 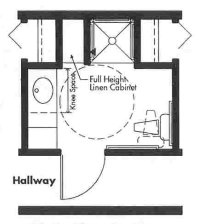 They work well in modular homes that have an interior module width of 12′ 9″ or wider. 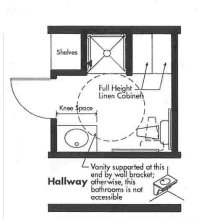 For more information about the merits of building a new accessible home versus remodeling an older home, see Why Building a New Accessible Home Is Often Better than Remodeling. 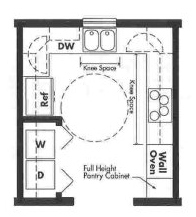 For information about building a modular home according to Universal Design principles, see Universal Design. 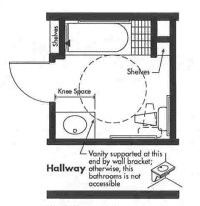 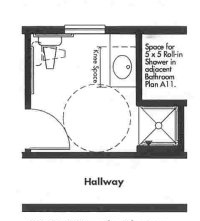 For more information about building an accessible modular in-law addition, see ECHO. 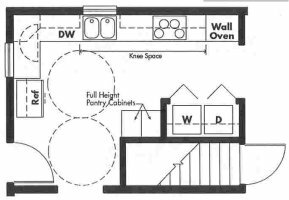 For a related story, see The Joys and Pitfalls of Inter-generational Living: One Family’s Success Story. 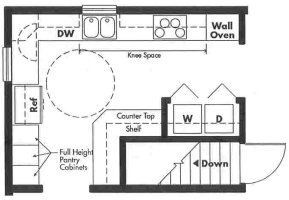 For more information about modular additions, see chapter 8, “Building a Modular Addition,” in The Modular Home by Andrew Gianino, President of The Home Store. 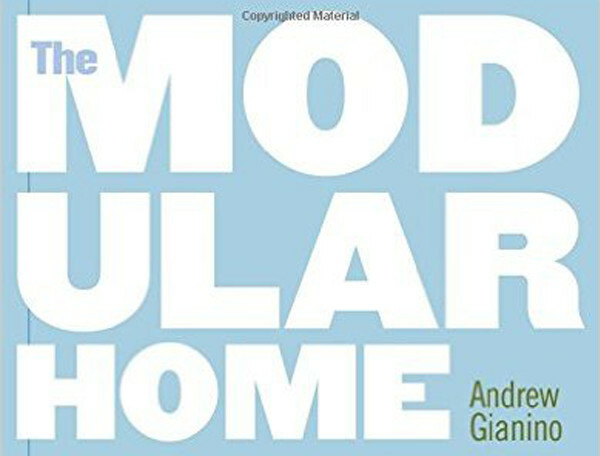 For a comprehensive overview of what you need to know to build a modular home, order The Modular Home (325 pages) by Andrew Gianino, President of the Home Store. 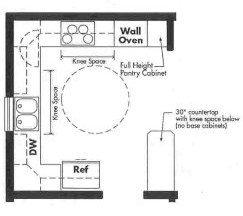 The Home Store – Your Best Source for Buying a Modular House or Custom Modular Home in Massachusetts, Connecticut, and New England.